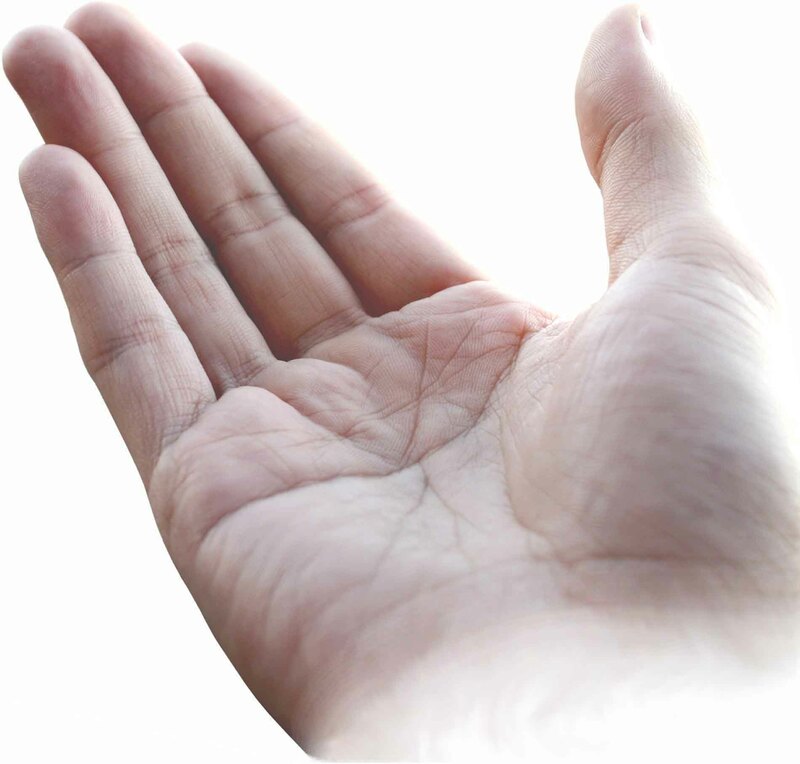 MODERN PALMISTRY FORUM - Let's talk about your hands! Unfortunately, the manager of the 'Palmistry International Forums' (www.piforums.net) has decided a few weeks ago to close her forums permanently. It took a while before she informed the community about her decision, but last week she made a short anouncement to explain her decision. Sue Compton expressed e.g. her support for the new forum initiative, named: 'The Modern Palmistry Forum'. "Making the very difficult decision to close the PI Forums was not easy for me, especially as the forum was frequented by so many on a regular basis." "... Making the very difficult decision to close the PI Forums was not easy for me, especially as the forum was frequented by so many on a regular basis." "I don't think it would be true to say the PI forums failed - on the contrary, the forums were very successful - one of the reasons it attracted so many members with such varying views and interest. However, I would agree that a fresh beginning is always good. One of the things I most love in life is to have a clean, fresh piece of paper and a pen in my hand ready for a new project. For me, something stays in existence for as long as it serves its purpose. If a project no longer serves its original purpose, it's time for a new one!" "A large forum will inevitably draw interest from members of many ideas, thoughts, views, ideals, etc - not all will agree with each other! For many forum members, visiting a forum becomes an everyday way of life making it very difficult to decide who should join and participate and who shouldn't! But previous experience is always useful and those aspects of the PI forum that some members were perhaps not quite so happy about will no doubt be remembered when decisions are required for the everyday running of this new forum." "I already love this new forum - the colours are my favourite so it is already pleasing on my eyes! lol. I wish it every success! The 'International Palmistry Community Forums' became 'Palmistry International Community Forums' at the new domain name: www.piforums.net! "Welcome to the new PI community forums! I would like to welcome all members to this new forum after, thanks to expert and unbelievably helpful technical support, a smooth transfer of data from the previous forum, who has managed to restore user registrations, posts, attachments and messages. The forum is currently in its most basic format and I will be working behind the scenes over the next week or two to prepare the new layouts, which I have not yet had time to do. I will also be putting back some of the forum images that appear to have gone astray with the move, in particular some of the emoticons and the forum icons. During the move, it came to light that there are over 7 megabytes of private messages stored in members' pm files. For this reason I would be grateful if all members could take a quick look at their private message folders and delete any that are no longer required. At the same time, I discovered the community is currently storing nearly half a gigabyte of uploaded attachments. This is a tremendously heavy burden, so I have decided to make a couple of changes to the hand reading request area in order to lighten the load, as this is where a significantly large number of attachments can be found. These changes can be found in the updated community rules. There are going to be changes appearing over the next few days, and the site may be taken down from time to time in order to put these changes in place. So I would be grateful if all members could bear with me for a short time until all the work is complete. I will try and keep forum downtime to a minimum while I'm working on the site. 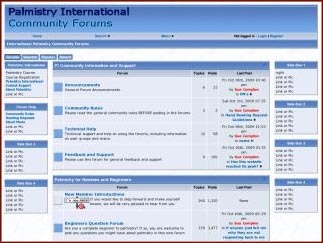 The International Palmistry Community Forums crashed early in august, but has become available again! and is back up and running as usual. The Palmistry International Community has started using a new domainname! The Palmistry International Community Forum has now become available via: internationalcollegeofpalmistry.com . This appears to be the final change of servers. The Palmistry Primal Focus Group - Established in 1999 by F. Cappelle; Today counting: 1797 members. The technical problems at www.palmistryinternational.net are solved! Today the most popular Palmistry Discussion Group in the world - 'The Palmistry International Discussion Forum' (today counting 320 members) - announced a transfer of servers. This implicates that from today you can post your questions and answers at the (temporarily) server: suecompton.com. (Within time the use of the former domainname www.palmistryinternational.net will be CONTINUED!). Find a Palm Reader in the UK! The Hand Analyst Network is growing!